Debate gives students the skills they need to succeed. Debaters read and synthesize sophisticated materials on complex public policy issues. In a debate tournament, students must link evidence from research to every one of their arguments. These skills—high-level reading, critical thinking, and evidence-based argumentation—are closely aligned with the Common Core State Standards and are recognized as critical to students’ college and career success. Competitive academic debate improves student academic performance. 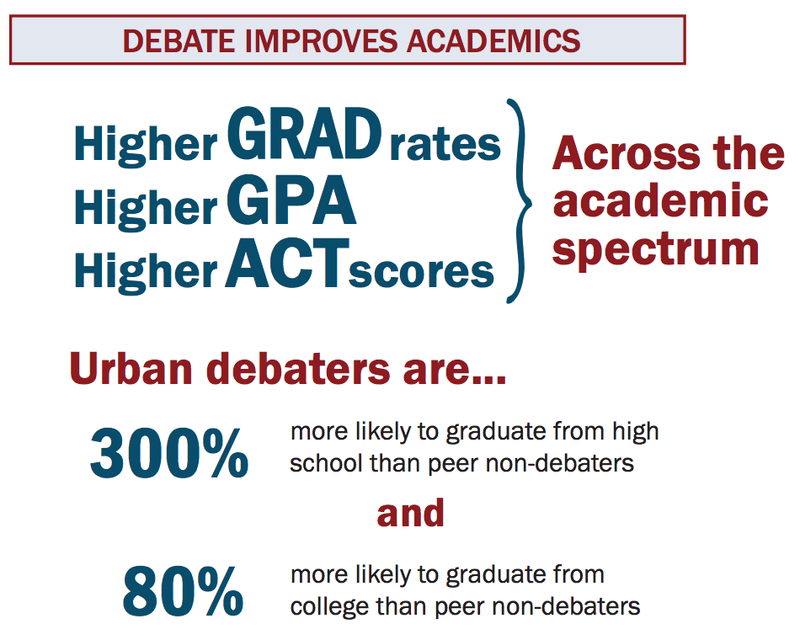 Recent independent peer-reviewed and published studies demonstrate that participation in competitive debate leads to higher GPAs, higher graduation rates, and better college-readiness (based on ACT scores). 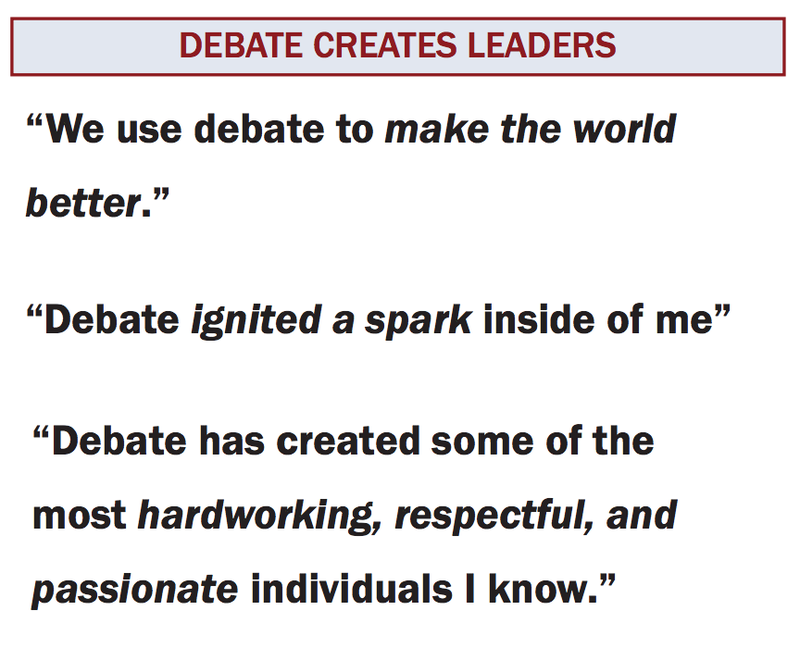 Debate is an engaging, student-centered activity. Rather than imparting knowledge through lectures, coaches engage students in learning games and debate exercises. Coaches direct students in research activities, while students collaborate to build their knowledge of debate subtopics. 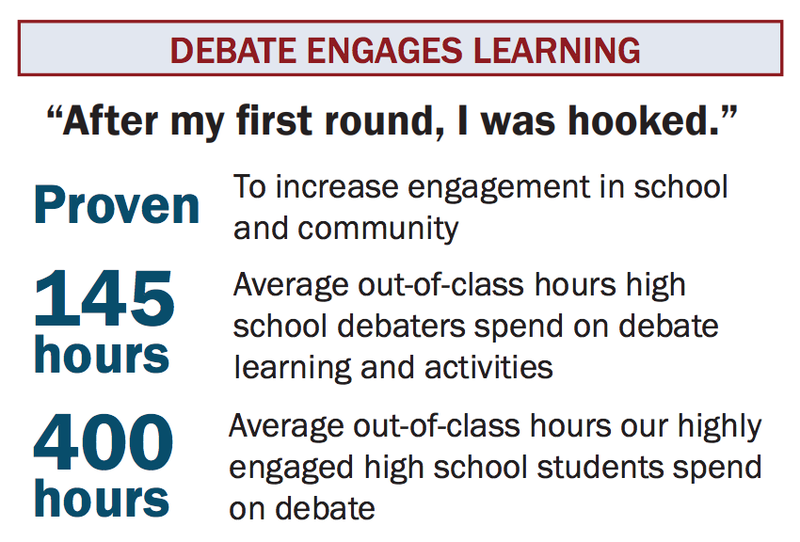 This high-level engagement motivates students in the CDL to spend an average of 145 out-of-class hours on debate during the school year. Our highly engaged high school students spend an average of 400 hours per year on debate. This time commitment, along with the academic rigor of debate training, is uniquely effective in improving student outcomes. 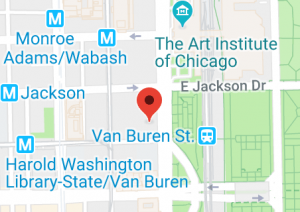 Debate attracts, and is open to all types of students, from at-risk students and students starting with academic deficits, as well as students with moderate or strong academic records. Research shows that student GPA increases every semester a student continues to debate, even if a student starts out with a GPA below 2.0. 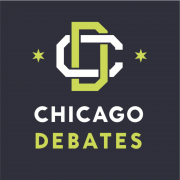 The research proves that debate is a powerful strategy to prepare Chicago students for college. Our alumni tell us that debate introduced them to the possibility of college success, inspired them to go to college, and helped them get the scholarships they needed to access college. Debate enhances students civic understanding and engagement.